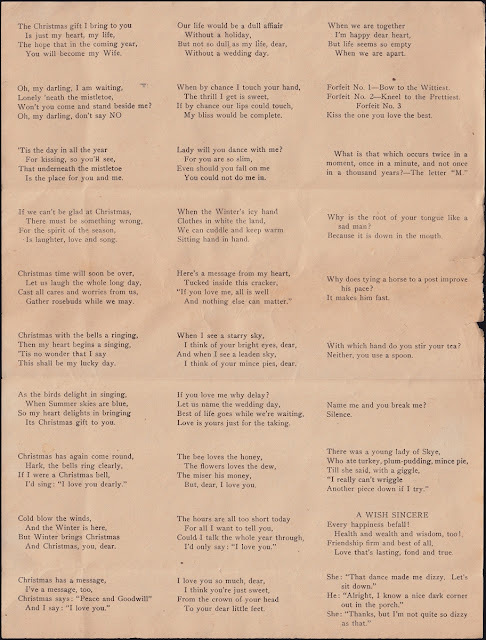 Happy Holidays: Victoria Christmas Cracker Company - Christmas crackers from Victoria, B.C. 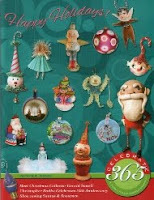 Victoria Christmas Cracker Company - Christmas crackers from Victoria, B.C. Earlier this year I came across a Facebook post from a Popular Mechanics Magazine. The magazine was part of an online collection. The entire magazine had been scanned, so I scrolled through the it and was surprised to come across this article about the Victoria Christmas Cracker Company. About twenty years ago I was given some items from a woman whose mother had worked there. Right click on this image to enlarge it so that you can read the article. 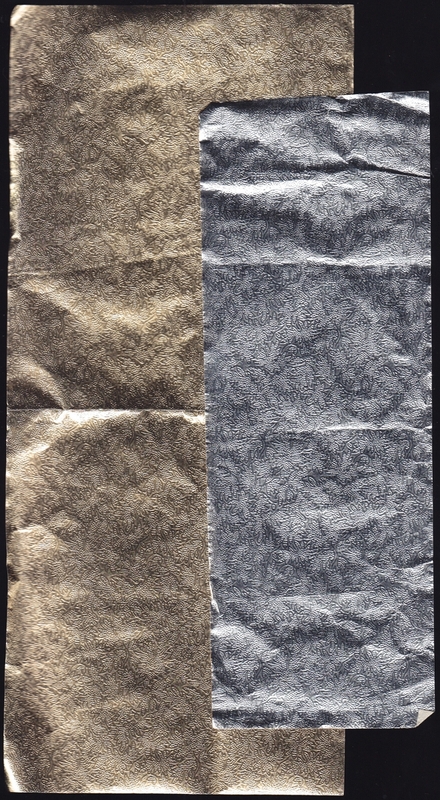 These are a sample of the foils that were used in the making of the crackers. Crepe paper fringe to decorate the crimped area of the crackers. 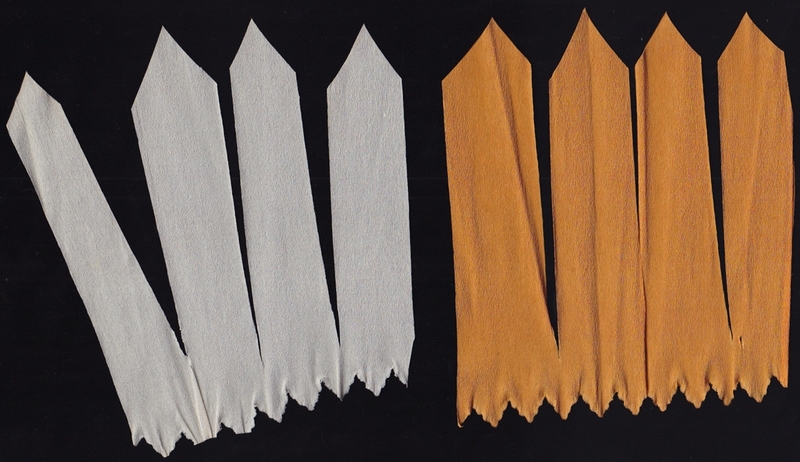 The long section would cover the end of the cracker and the scalloped edge would fill in and decorate the crimped area of the cracker. 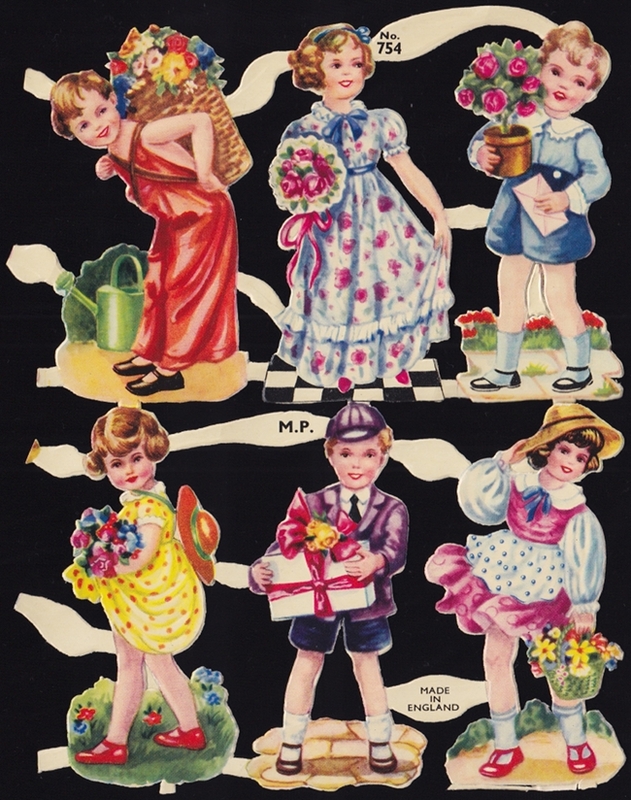 These scraps from England were used to decorate the centre of the cracker, they are most likely from Mamelok Press. I don't have any hats that were placed in the crackers but I do have this sheet of jokes and riddles, right click this image as well to read sentimental poems and terrible jokes and riddles. The great rule of Christmas crackers is that all jokes and riddles must be so bad as to make you groan. 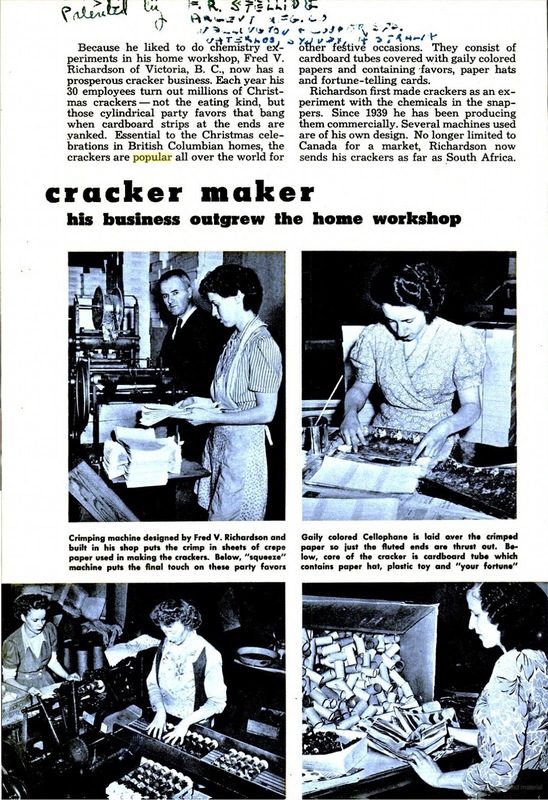 I wonder what happened to all of the machinery that was used to make the crackers? If I had the money I would the machinery and get that company working again.